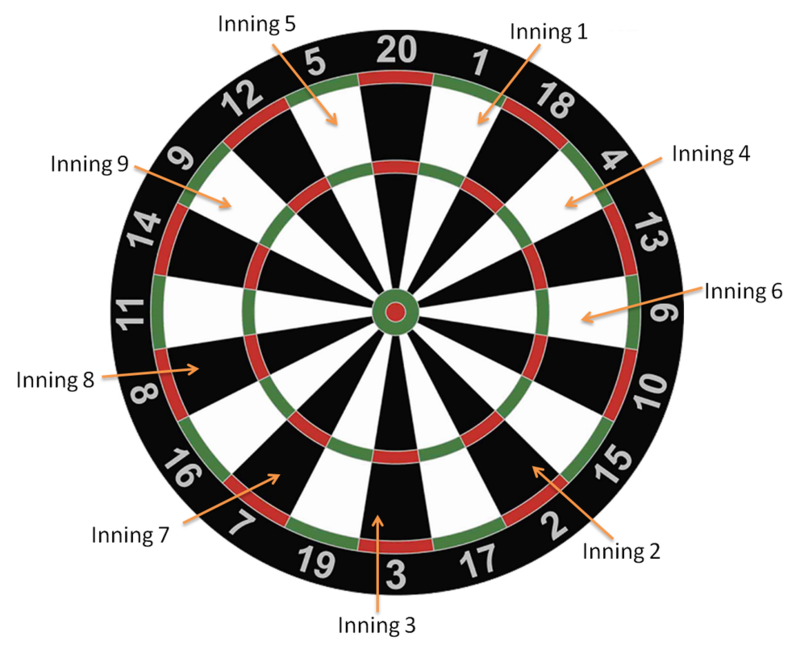 This is a simple game that will test your accuracy as you will be asked to hit different places on the dartboard for each of the 9 innings of the game. It can be played with any number of players but typically is played by two individuals or two teams against one another. The object of the game is to score the most runs in each inning. You will add up your total runs for all 9 innings at the end of the game to determine the winner. This game only uses numbers 1 through 9 on the board as the target areas for each inning. 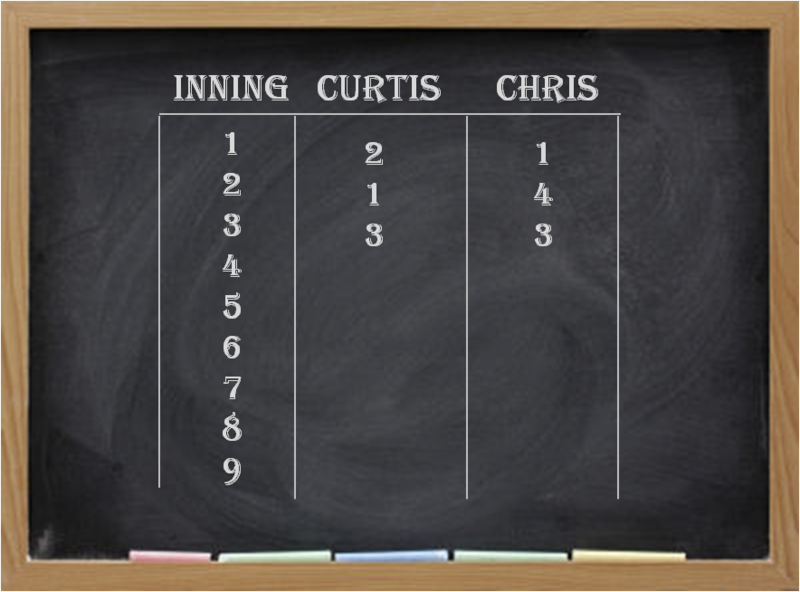 For each inning number, the only target area on the board that counts is the number associated with that inning. The game starts with a coin toss to see which team goes first. Each team throws 3 darts per inning with the small outer ring counting as 2 runs, the small inner ring counting as 3 runs, and anywhere else within the inning number counting as a single run. Total the score of the 3 dart throws at the end of the inning. You can keep a running total score at the end of each inning to quickly see how far ahead or behind your team is. If there is a tie at the end of the ninth inning, extra innings are played with bulls eye as the target. The inner bulls eye counts as 2 runs and the outer bulls eye counts as a single run. Extra innings should be played until there is a team with more runs at the end of the inning. If you have a more advanced player, you can add a handicap to this game to make it more competitive for all players. There are two recommended handicap methods. The first is automatically give 1 run each inning or every other inning to the less experienced player. You can also add something called the "7th inning stretch". This is where the weaker player gets to double their amount of runs in the 7th inning. This puts pressure on a single inning but is a fun way for them to catch back up before the conclusion of the game.